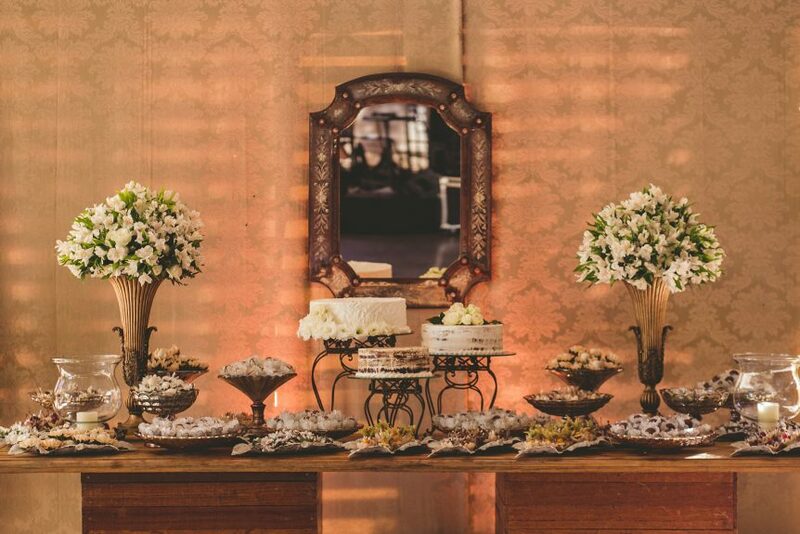 One of the most important aspects of any wedding day is choosing the wedding cake. How it fits with the style of the wedding and the all-important photo opportunity of ‘cutting the cake’. Wedding cakes have been part of marriage ceremonies since medieval times, but trends in wedding cakes have certainly changed. They were originally made from wheat – a symbol of fertility and prosperity. They continued to be part of weddings in Lancashire and beyond for centuries, and were traditionally broken over the bride’s head during the celebrations. Fortunately, some things have changed!! In the 1600 cakes became more like the elaborate, sweeter, tiered versions that we have today. Baking is a truly skilled artform in 2017! Which means there is huge variation on the three-tiered fruit wedding cake. For some Lancashire wedding couples, they don’t want a traditional look, for others the cost is prohibitive. 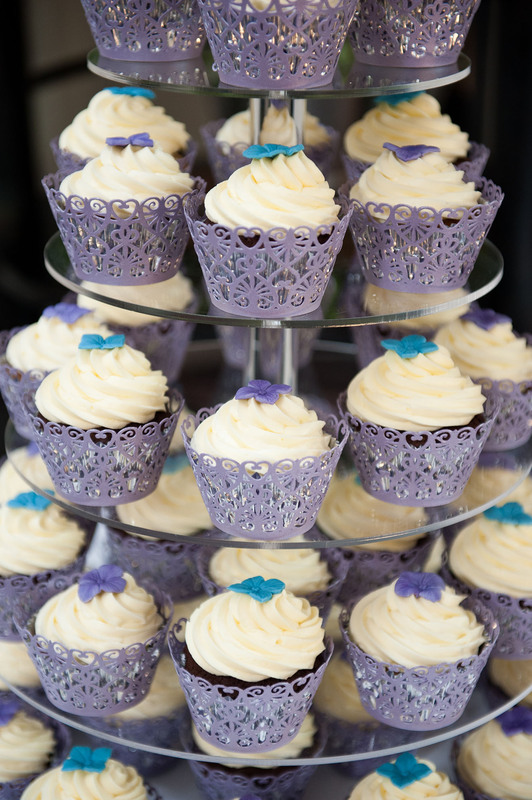 Many Lancashire wedding couples simply want to incorporate their favourite sweet treats. Go naked! The traditional three-tiered wedding cake is very much en vogue for 2018, but with a twist. Think about having the cake tiers ‘painted’ in a design you both love, rather than the traditional white icing. Or go naked! 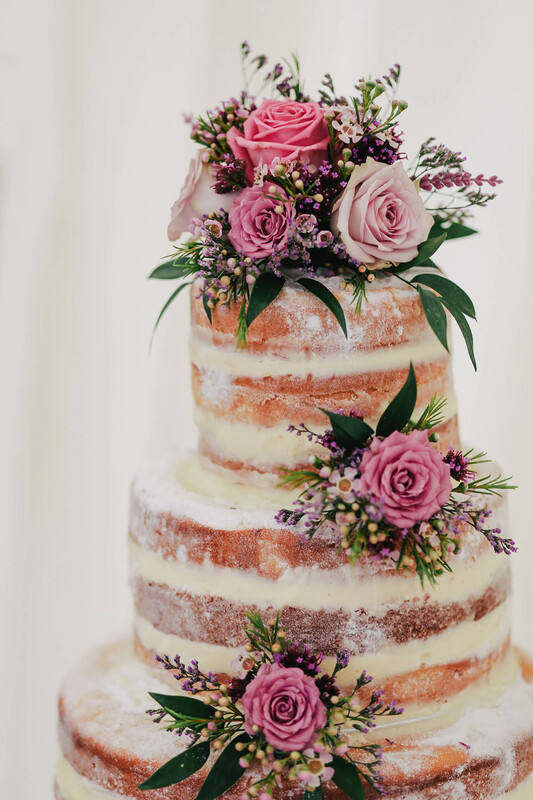 Yes, ‘naked cakes’ are set to continue in popularity. They are un-iced cakes with the fillings proudly on show, so go for beautiful colours – mix and match berries and other fruits to create a spectacular display. Towering Taste! Cupcake towers are still hugely popular, but each year they take on a new twist. From the height of the tower and the range of colours, to the flavor combinations and size of the cupcakes. Every ‘tower of taste’ is different. Less expensive than a traditional cake, these contemporary towers look beautiful and are easy to dismantle to give to guests to take home. Doughnut Delight! A culinary progression of the cupcake tower, is the wedding doughnut tower! They look gorgeous and are a great talking point at any wedding. They can feature doughnuts of all sizes, fillings and flavours, and can be decorated with your specific colour themes. All you need is a high quality baker to be able to develop this show stopper. Cake Combinations! A trend set to continue into next year is having three of four different wedding cakes. A combination of sizes, shapes, flavours and designs, this ensemble of cakes creates a wedding cake ‘display’ of tiered cakes for height, and single layer cakes. Whilst they vary in size and shape to keep it interesting, the concept is that they all follow an overall design – perhaps the colours of your wedding day scheme or a chosen theme. Savoury Surprise! Growing in popularity are savoury alternatives to the wedding cake. Think three layers – each a wheel of your favourite cheeses – decorated with green leaves, herbs and flowers. And most recently, we saw a Pie Wedding Cake at the Hotel. Three layers of Lancashire pork pies – largest at the bottom scaling to the smallest at the top. Dressed with vine tomatoes, grapes, dried fruits and green herbs; it looked amazing. Rule one: choose a flavour that you love as the base. Rule two: create a design that fits with the colour, style or fun elements of your wedding day.